RT, the Russia-based oppositional TV and Internet broadcaster, announced Thursday that the US Department of Justice has forced it to register as a “foreign agent” under the Foreign Agents Registration Act (FARA). Washington has given the outlet until Monday to register as a foreign agent or its director could be arrested and its assets frozen. 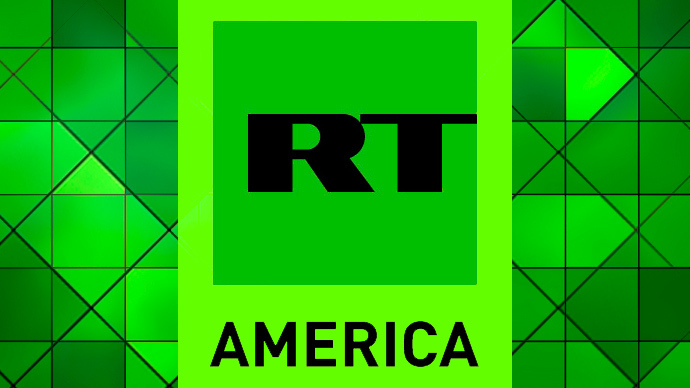 “In demanding RT America register as a foreign agent, the government has produced no evidence that RT qualifies as a foreign lobbying outfit, nor has it bothered to explain how this network is different from Al Jazeera, the BBC, or other state broadcasters,” Max Blumenthal, senior editor for AlterNet’s Grayzone Project, and a regular guest on RT America, told the World Socialist Web Site. “The only conclusion to draw is that the US government is targeting RT on political grounds, on the basis of its role as a platform for critical perspectives on American foreign policy, and as a test case for a wider campaign of media suppression,” he added. On January 6, the US Director of National Intelligence issued a report on “Russian intervention” in US politics, which denounced RT as a platform for oppositional sentiment in the United States. The World War II-era Foreign Agents Registration Act required companies or individuals considered to be working on behalf of a foreign government in the US to disclose their funding and relationship with foreign governments or actors with the DOJ. According to RT, over 400 entities are registered under the act, but not a single media outlet is included in the list. RT America has announced that it will comply with the DOJ’s demand, but will challenge the decision in court. RT editor-in-chief Margarita Simonyan claimed the decision placed freedom of speech in the US under question. In last week’s congressional hearings on “extremist content,” lawmakers demanded that social media companies take decisive action in censoring “harmful content.” Members of Congress chastised representatives from Google, Facebook, and Twitter into testifying their social media platforms had been used by a foreign power to influence the 2016 elections. In addition to its crackdown on RT, Google has made sweeping changes to its search engine and news service that have dramatically slashed traffic to left-wing, antiwar, and progressive web sites, including the World Socialist Web Site, which has had its search traffic from Google fall by 74 percent since April. The Justice Department’s action will dramatically intensify this campaign for online censorship, targeted first and foremost against left-wing political opposition. If the Trump Maladministration really valued the population, they would judge people to be able to listen to different viewpoints and make up their own minds. To pretend the USA has free media when observing the unswerving similarity of the MSM and their keeping to the official story on any issue is laughable. ‘The report alleged that the “channel portrayed the US electoral process as undemocratic and featured calls by US protesters for the public to rise up and ‘take this government back.’” and they are denying this obvious fact??? A whole year since the Trump debacle and nothing is being reported of importance because of the deliberate lies via the Clinton campaign (no being unveiled by SOME outlets) about alleged Russian actions. These “interfere with US democracy” (! )where fewer than half the citizens bother to vote, knowing that their “elected members” are slaves to lobbies and corporations, not representing the interests of most of the people.